Throughout the year you get to see what we are doing with our own personal money and if you agree with our fund pick, you have the chance to mirror the trade. This means you are in the driver’s seat at all times and can decide which funds you want to buy and how much you want to invest. Due to our outstanding track record of performance growth1, most clients mirror our exact movements throughout the year. Some clients however, do begin their term with us by partially mirroring and as time passes, their confidence tends to grow in our ability, which results in them deciding to mirror us to the letter. Past performance is not a guide to future performance. In about 99% of all the updates we send, we’ll report that we are taking no trading action. 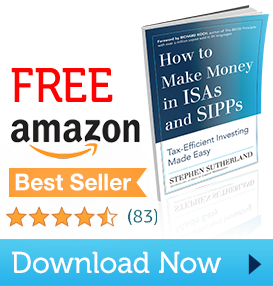 However, in approximately 1%, we’ll report that we are about to make a ‘switch’ in our ISA/SIPP portfolio. That simply means that we will be placing a trade and these are the rare days clients get the opportunity to shadow our fund pick. Typically, we only make about 4-5 trades over the course of a year. The good news is that because you are controlling your own investment account, you have the freedom to invest as little or as much money as you like. You can start small and increase the amount as your confidence grows.